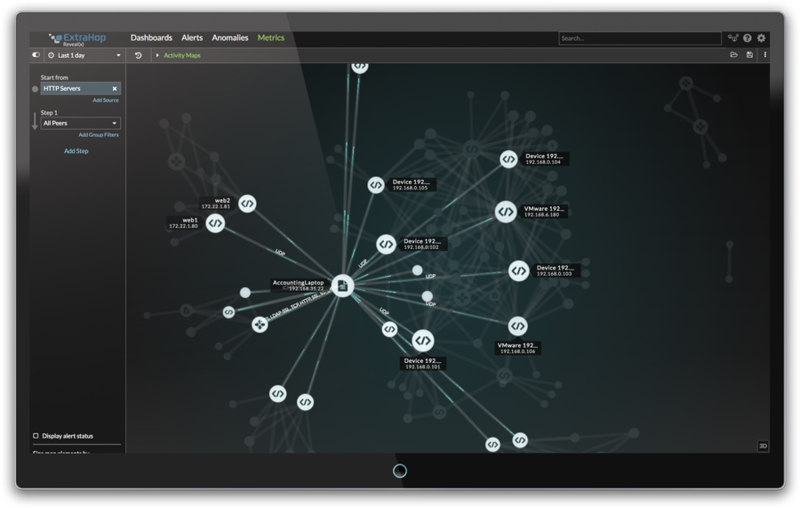 How does ExtraHop Reveal(x) network traffic analysis compare to Darktrace Enterprise Immune System? Reveal(x) analyzes data at a sustained 100Gbps per appliance, automatically discovering and classifying all endpoints and transactions in real time so you'll start receiving useful insights as soon as you plug in. Darktrace caps out at 6Gbps per appliance and requires human analysts to build out reports, so the first 3-4 weeks of your deployment delivers zero value.  Limited scalability for Darktrace means that even if you pay for six times more hardware and associated management costs, Darktrace will still provide less timely, less thorough information than you'd get from one Reveal(x) appliance. ExtraHop decrypts SSL/TLS at line rate, including Perfect Forward Secrecy (PFS) implementations.  Darktrace offers zero decryption capabilities, leaving the majority of network traffic completely opaque—so insiders and attackers can roam freely and exfiltrate data unseen. 70% of cyber attacks will use encryption in 2019 (Cisco). Encryption helps them get through the firewall and then reconnoiter and implement their attacks within your network. Without decryption capabilities those attacks will be invisible to your security team. Wire data is to packet headers what the full color spectrum is to black and white.  Unlike Darktrace, ExtraHop gives you real-time visibility into 50+ enterprise protocols so you can not only understand which assets are communicating, but also what they're actually saying. This rich data set permits machine learning to be more focused and precise, taking advantage of the variations in behavior that have the most value and meaning while suppressing false positives. Threat detection can't solve the talent crisis or the rising tide of attackers unless you back it up with robust investigation automation capabilities. Without those additional capabilities, threat detection can even make the problem worse.  Darktrace will alert you to potential threats all over your environment with no prioritization or forensic evidence attached, no correlation between anomalies, and no custom dashboards or response options—and human analysts still need to intervene and weed out false positives. Reveal(x) tells the whole story. No plot holes. *That first alert from ExtraHop provides enough info to justify quarantining the device in question and launching a full investigation. But if the worst should happen, full attack chain visibility puts you in the best position to eliminate the threat. Launch the interactive demo to explore the Reveal(x) workflow for yourself.